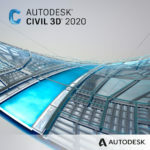 Civil 3D and AutoCAD production management staff will greatly benefit from the CIM Manager Suite. Tools for automated Styles, Layer, and Linetype creation and editing will make supporting production teams easier than ever. This product will work in Civil 3D 2016, 2017, 2018 and 2019. To learn more about CIM Manager Suite, click here.